Perhaps the place to start, in this discussion between you and my written word, would be to ask with what assumptions you approach the academic world of research. 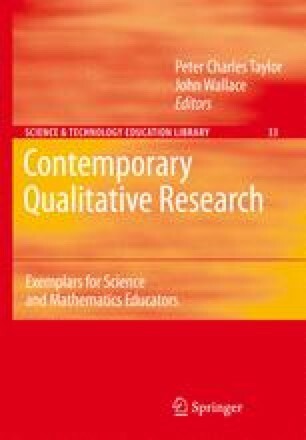 Would you argue that qualitative research is concerned with the generation of deeper and richer understandings of human experience? Do you approach your research with the belief that you will be able to identify a generalisable truth that will serve the interests of others? Do you believe both of these or neither? How you answer these questions will impact greatly on how you make sense of what is now in your hands.